Did you know... that you can collect free coins on mobile without using the Slotomania App? 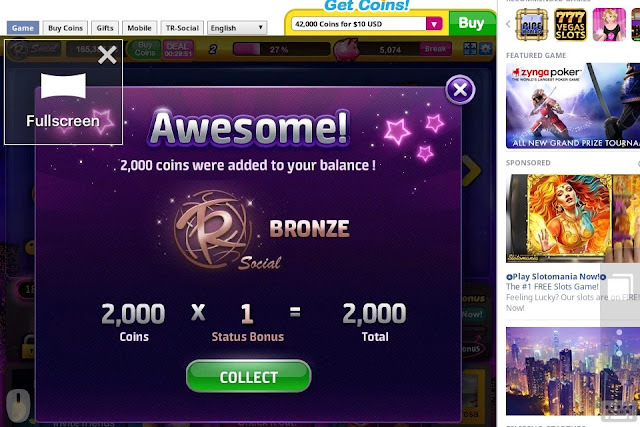 If you are having trouble collecting free coins on Slotomania Bonus page you can use this method. This trick can be use in any device that support iOS, Android and Windows Phone OS. Slotomania on the Web is a flash game. You need something on mobile that supports it, luckily there is a mobile web browser that supports Adobe Flash Player natively and that's Puffin Mobile Browser. 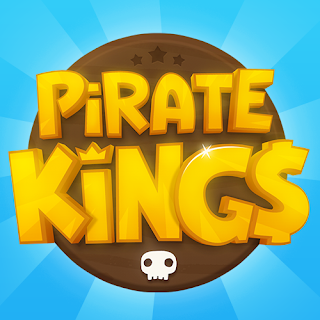 Depending on the device you have simply search "Puffin Browser" on App Store, Google Play, or Windows Store and install it. When you use the app it will function like you are using a web browser on a computer, all Slotomania bonus links will open on Facebook not the Slotomania App that you have. Now that you have "Puffin Mobile Browser" in your device. Go to Slotomania Bonus page then tap "Menu & Options" and select "Login with Facebook". As you have already know the bonus page will provide you daily free coins and it helps you not to collect duplicate bonuses. 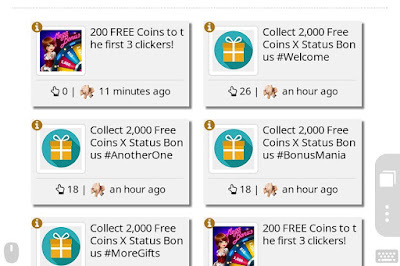 The bonus gifts are not only from the official fan page but from all active players who share coins using the ShareLinks Plugin. The Puffin App will function like a laptop web browser it has features like virtual TrackPad, GamePad and you can also switch tabs back and forth from the Bonus Page to Slotomania on Facebook. Tip: You can enable full screen while playing. It will almost feel like you are using the native App. Make sure to close the opened tabs after you have collected the bonuses to avoid slowing down your device and browsing experience.